The church was adapted from a disused barn in 1999 by C Mercer at a cost of £158,000 (Historic Churches Review no 19, p5) to serve the new area of Bewbush, which had initially used St Alban, Gossops Green. 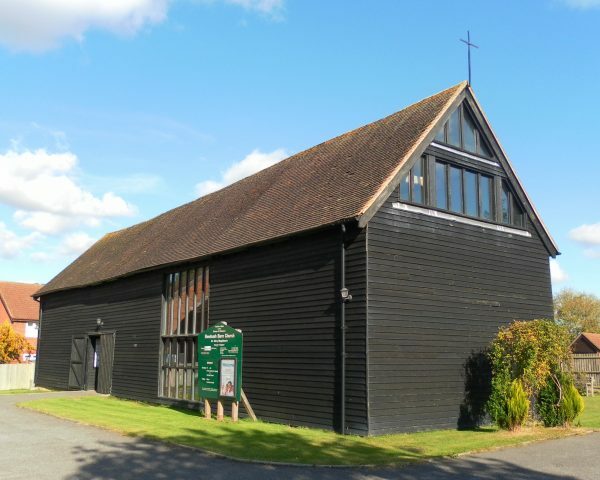 The original black, boarded outer walls have been retained, thus recalling the rustic origin of the area, but there is now a glazed gable end. The interior was divided into two parts, the larger for worship and the smaller for social events. By 2018 the church was used for community purposes only and all worship took place at Gossops Green once more.